It held 1000 seats and had eight exits which meant the building could be emptied and turned around for the next cinema show within minutes. 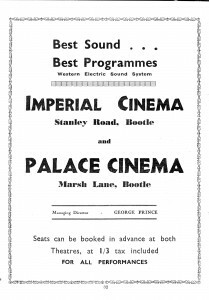 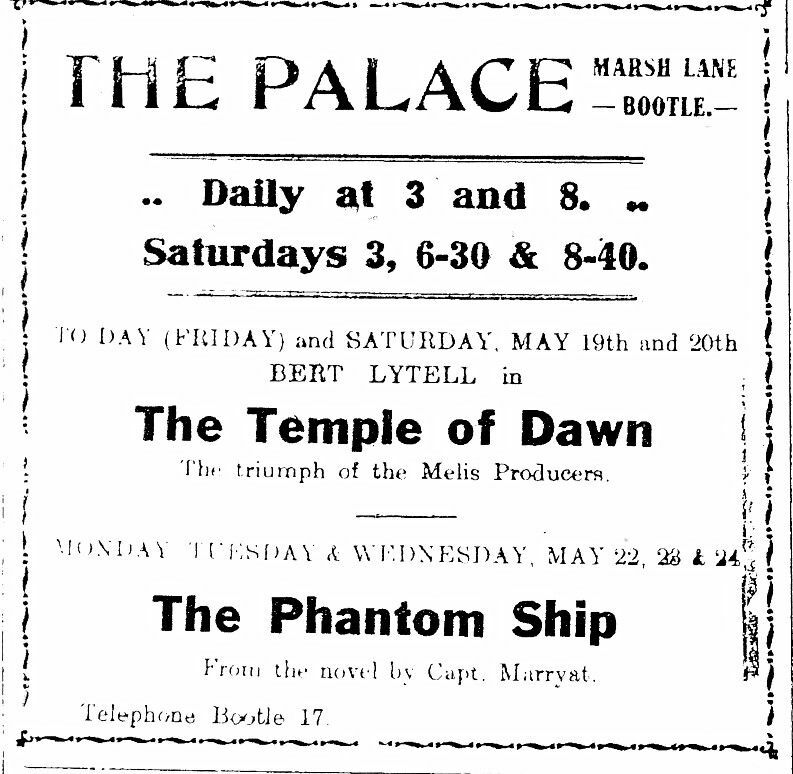 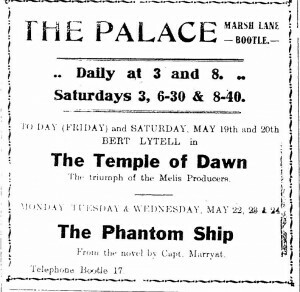 The Palace was also the first Cinema in the area to be equipped for showing sound films following the introduction of the ‘Talkies’. 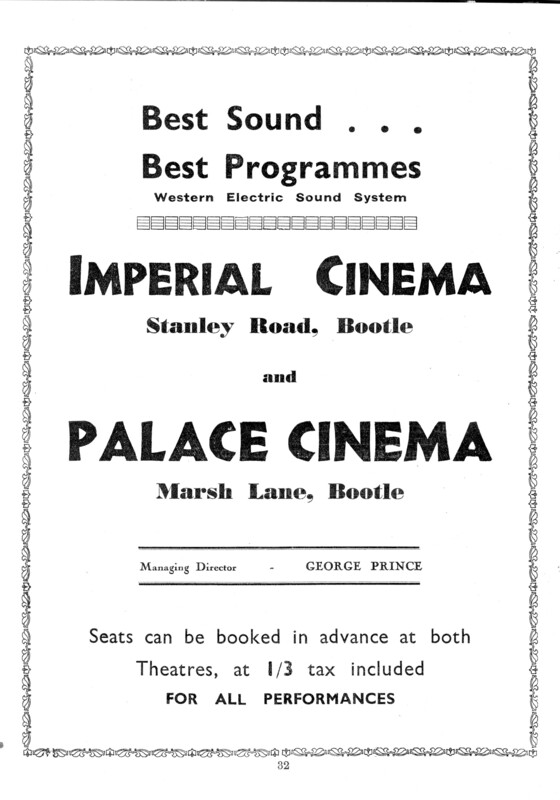 It was also the first to show Cinemascope having alterations for the new technology implemented in 1954. 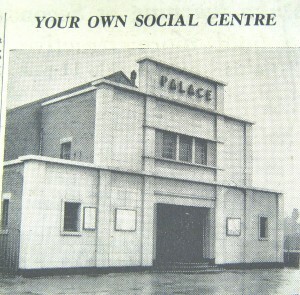 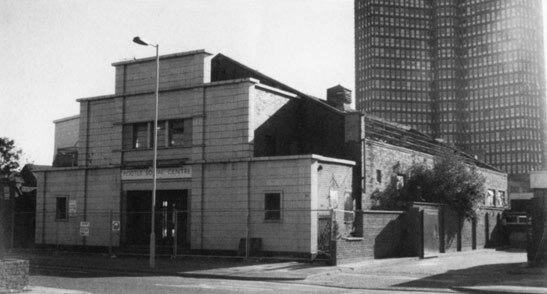 The Palace closed in 1958 and the building was redeveloped and used as Bootle Social Centre. 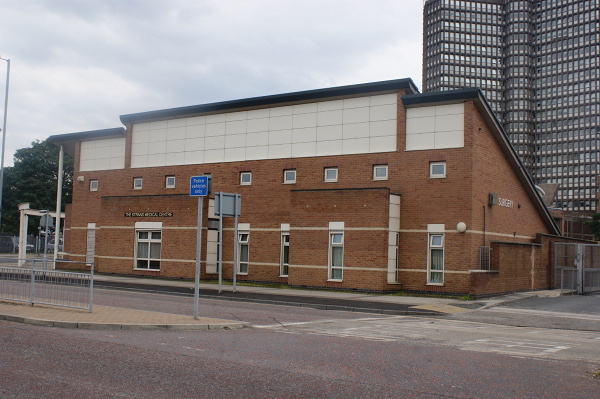 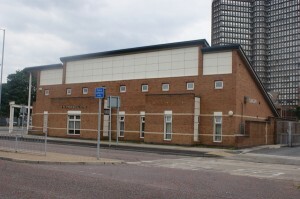 The building has since been demolished and now on its site stands the new building – Bootle Medical Centre.